There's more good press on the horizon. 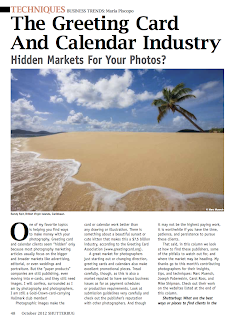 The October 2012 issue of Shutterbug has a story, reported by Maria Piscopo, on the paper products business, for which I was interviewed. 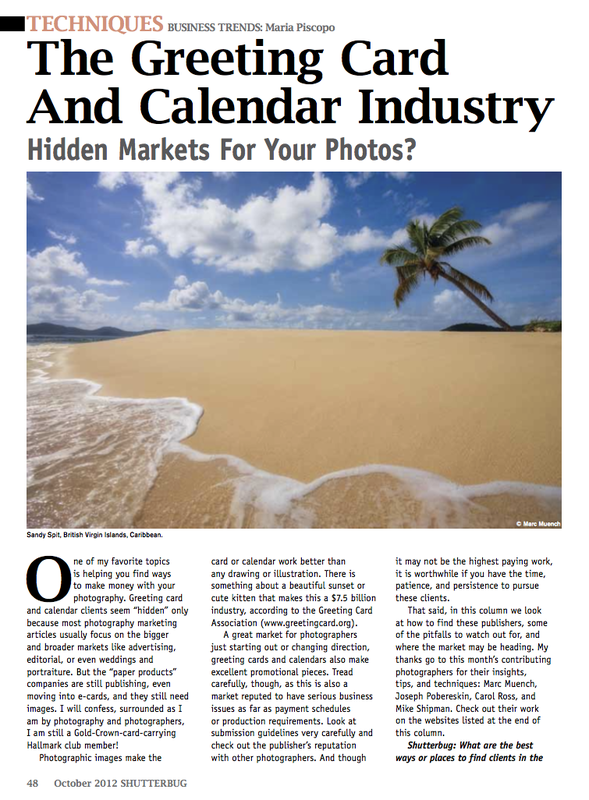 Interested in selling to the calendar & greeting card market? Check it out: Shutterbug on newsstands Sept. 4th (or click the link above). Also interviewed were a couple of friends... Marc Muench & Mike Shipman, and a flower photographer, Carol Ross. Lots of good insights, information and links to all of our web sites so you can see what we've been up to recently. What's Funnier Than A Comcast Commerical? What? Ideas Don't Come In The Box? ?